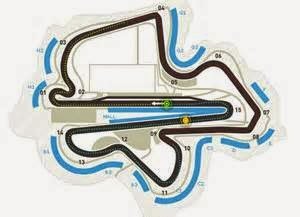 New regulations, new bosses, Formula 1 is really approaching the next season as a new chapter in his more than 65 years. The new regulations were made in order to bring back one thing that most fans were asking for: more spectacle. In addition to the changes at the aero, we have to add the new tyres, which will be bigger in comparison to the ones of the lasts years, which will give an extra grip giving more downforce to the cars. Also is said that this new tyres will have a longer life so drivers will be able to push harder during the race due that they wont be thinking about tyre managment and also about fuel because now the teams will be able to start the race with 5L more, 105L in total. Also the new cars will be able to break later which in addition to the fact that it will be harder to follow for the driver behind, can result in less overtaking. But all this good and bad facts are speculations, we have to wait until the first race at Australia to see how this new F1 works. The engine doesn´t suffer any structural changes, the only but really big change in comparison to last years rules, is the elimination of the "tokens" now teams will have freedom for developing their engines. 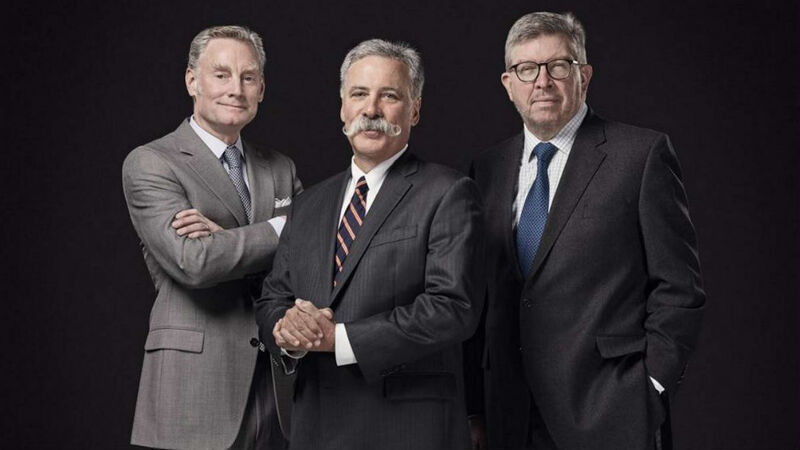 After many years under the control of Bernie Ecclestone, Formula 1 has new bosses, with new ideas and new objectives. The management of Mr. Ecclestone of Formula 1 has been always polemic due to the things he said, for example about social medias or the young F1 fans and his concept of F1 as a business. But I must say that Formula 1 won´t be the king of Motorsport if Ecclestone didn't get the control of it, so we should say thanks to Bernie. But any sport is needed of change and now with Liberty Media taking the control I think that F1 will improve in the not sportive part. I like how they separate the different jobs, and specially good is that Ross Brawn, one of the best and more successful F1 team bosses is managing the sportive side. More spectacle, more teams, more party, more races,...Lets see how this goes. 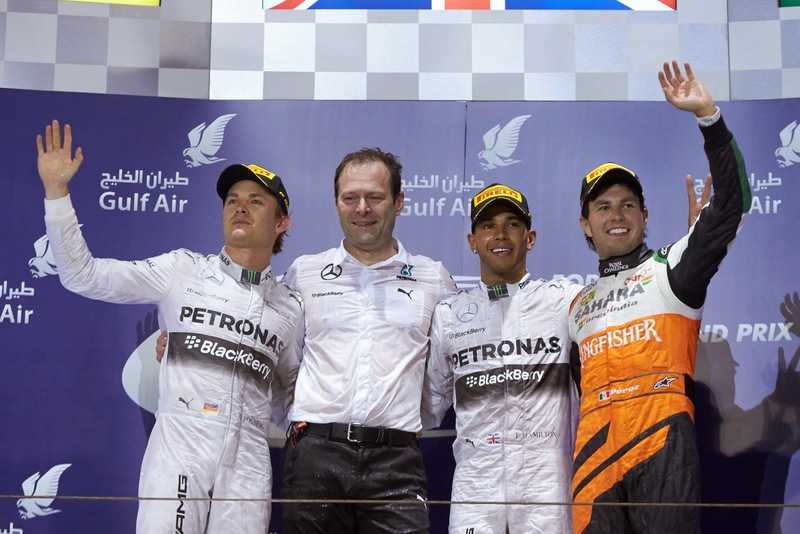 Just a few days Nico Rosberg won the championship at Abu Dhabi, he announced one of the most shocking news in F1 from the last years: he decided to retired from Formula 1. The reasons he gave was that this season was so mentally and physically hard to try to win the championship and that was disgusting losing to his teammate, Lewis Hamilton, this years. So once he had achieved that goal, it was enough. Full of respect for that decision, in my opinion a very brave one and he will be missed on the grid. 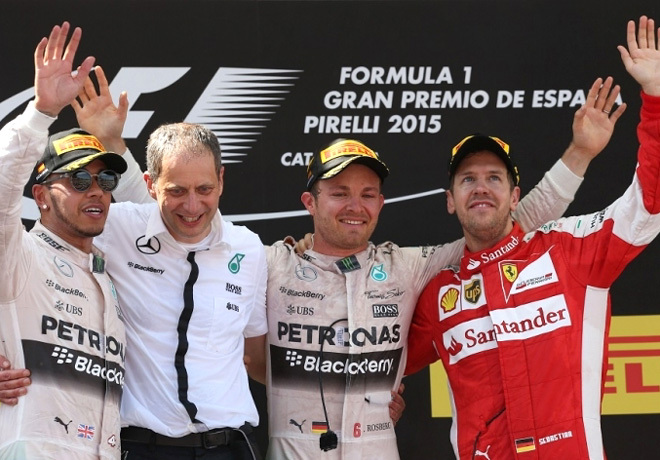 As a result, the topic for the following weeks was: who is going to replace Nico at Mercedes? : Alonso, Vettel, Verstappen, Ricciardo, Sainz , Bottas, Werhlein? Bottas, to Mercedes. Leaving his seat to a driver we all though he was going to retire, but Williams wanted for their team an experience driver for this new regulations so Felipe Massa will stay one more season with the Groove team. And Pascal Werhlein new driver of Sauber. All the F1 fans wanted another Alonso vs Hamilton as teammates due to that polemic 2007 at Mclaren, but the british driver didn't want to have Alonso another time in the same garage. Valtteri Bottas is a driver which follows the attitude of Nico Rosberg: worker, looks for the team, doesn't give any kind of problems, solid results, no mistakes and a fast driver. The finn is really in a big opportunity in his career. Nico Hulkenberg from Force India to Renault. 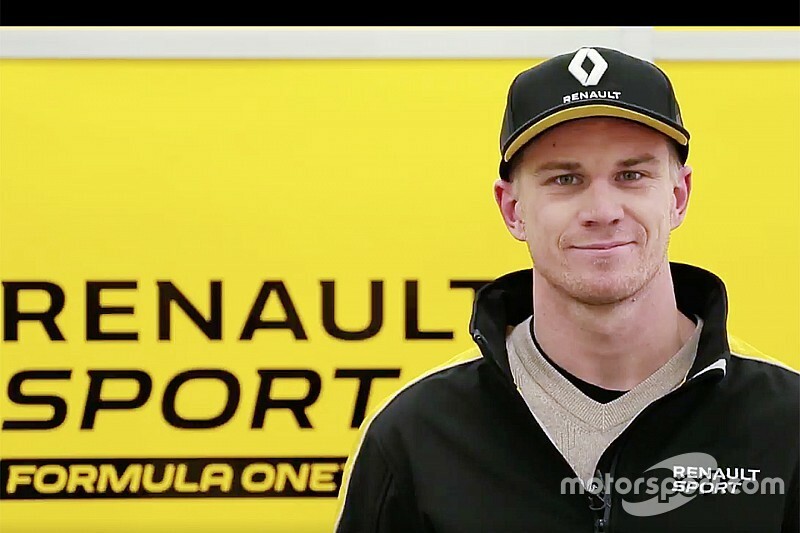 Always stuck in a midfield team, german driver trust the Renault project although the difficult year the Enstone team had, to try to make a step forward in his career he has been looking the past years. Carlos Sainz was related to this team, but Red Bull didn't let the spaniard go. Keving Magnussen from Renault to Haas. After not signed for another year to Renault Magnussen decided to go the american team. 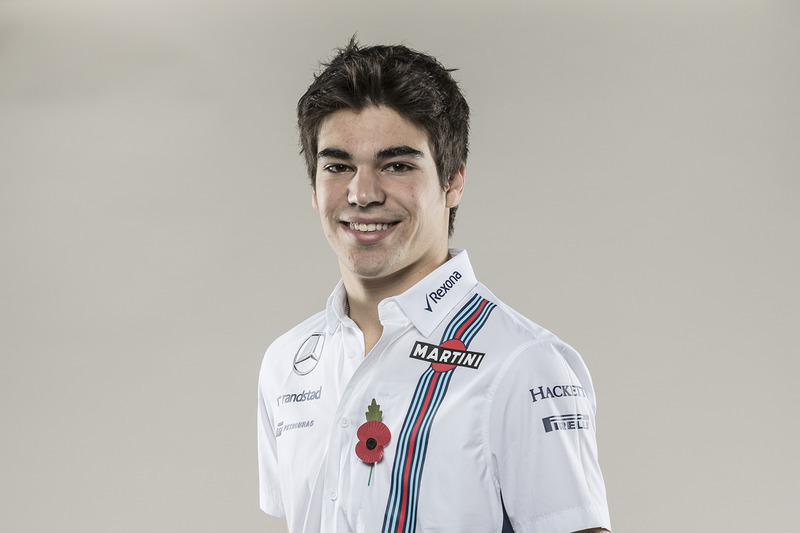 And the only rookie this season, the 18 year old: Lance Stroll, son of a very rich person, the canadian driver will be another pay driver although in lower categories he had really good results. He will be driving for Williams. Exxon Mobil 1 leaves Mclaren after 20 years of sponsorship ang giving their fuel to the Woking team, and goes to Red Bull Racing, that another time gets another classical sponsor of Mclaren like happened last year with TAG heuer. 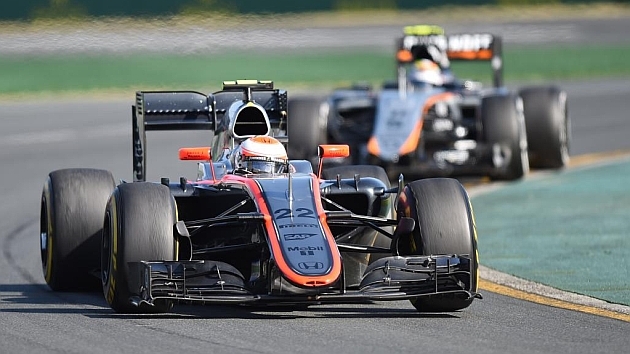 BP castrol joins Renault and Mclaren as a new fuel supplier. Banco do Brasil wont sponsor any more Sauber. 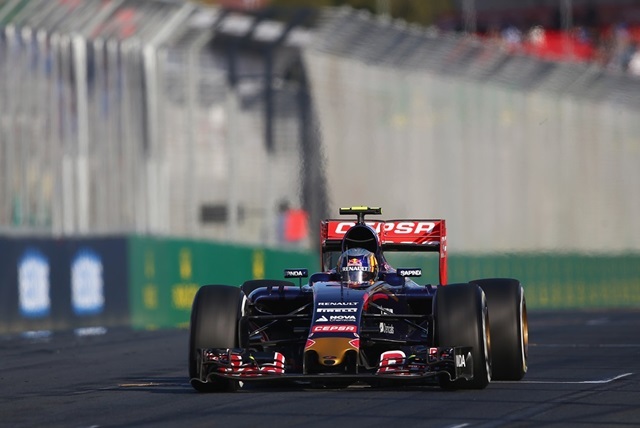 Total wont be the fuel supplier of any team after Renault and Red Bull got a new one. We will get out of doubts the next 24 of February. Red Bull, Williams and Haas, still have to confirm their dates. After 7 years in Formula 1, 3 different names and only 3 points, the third team that joined F1 in 2010 wont be competing next season in F1 the same as the other teams last seasons that joined that same year: HRT and lotus (later Caterham). 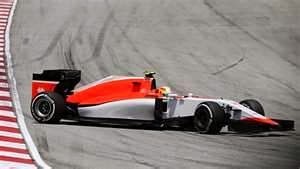 Since 2014 Manor has been with economic troubles and after a change in 2016 looking for stability and good results on track, not being the worst car and even scoring one point, at Brazil the two points that Nasr score for Sauber, were enough for Manor for not being able to pay and because a new owner didn't appear the team cant continue in F1. Another time money has destroyed a Formula 1 team. After more than a year without writing here, is good to be back! 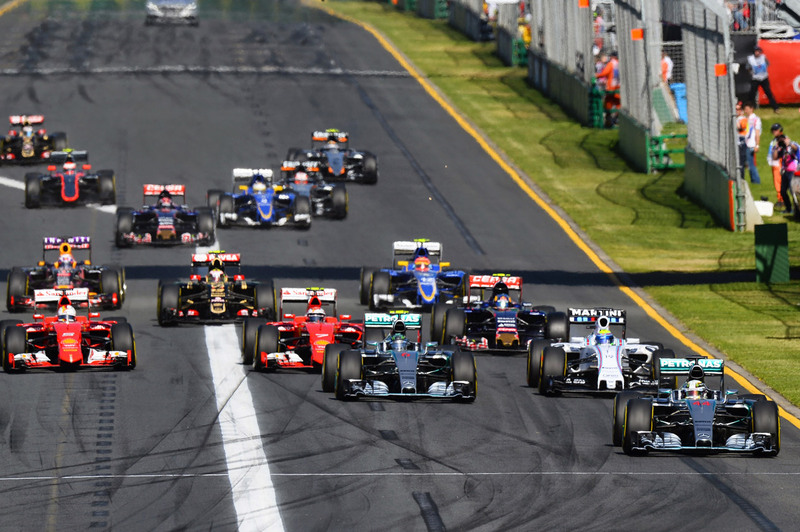 For the second race in a row both Mercs were mug at the start of the race, this time with both Ferrari. Hamilton trying to get postions back, he crashed into one of the Red Bulls (Ricciardo) breaking his front wing, making a pit stop and making a drive through penaltie for the crah with Ric. More drama for Rosberg, not pace with prime, mistake a the final stop putting prime again when he should had gone to option. After being the Championship leader he finished losing more points. The Drama arrived at the finals part of the race where a fast Ricciardo made a really dive on to Rosberg going wide at the first corner, coming back and making a punche to Rosberg. 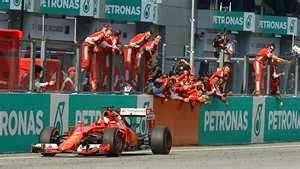 After overtaking the Mercs at the start, Seb control the all race as his old times. 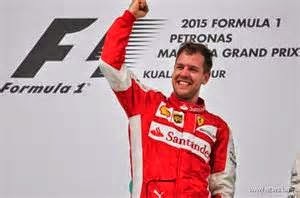 Perfect race of Seb with an awesome pace. 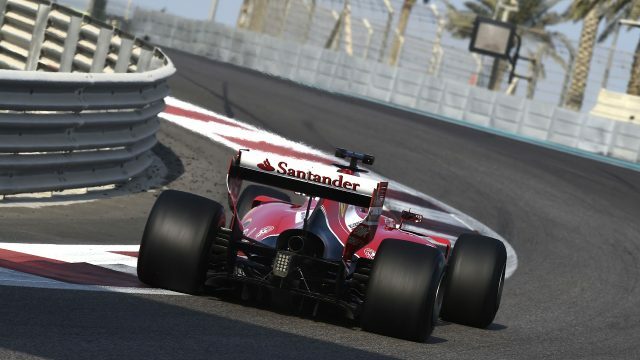 At the begining it could being a 1-2 for Ferrari since Germany 2010 but Kimi had a MGU-H problem and retired. After a hard season with a lot of problems just cos the engine of Renault, yesterday both RB cars were at the podium with Kvyat 2 and Ricciardo 3rd. Ricciardo could had won the race but he made the horrible mistake of the impossible overtake to Rosberg, that cost him the win. Per once, Mclaren Honda (specialy Alonso) had luck. 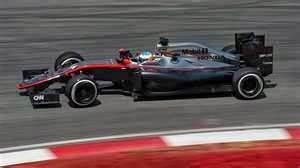 Alo P5 and Jenson P9, the car had a decent pace. De todos los equipos, mejoró quien menos lo necesitaba, Mercedes. Sebastian Vettel, el primero del resto, se quedó a 44 segundos de Rosberg, quien ganó su primera carrera de la temporada, Hamilton fue segundo. La mala suerte sigue para Maldonado que cuando esta haciendo una buena carrera, siempre se acaba retirando. Esta vez por su alerón trasero que se rompió. 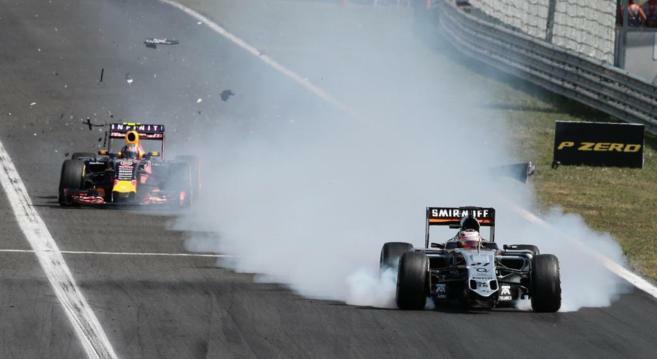 Tampoco tuvo mucha suerte el mecánico de Grosjean, quien aguanto un golpe de un F1 y luego aguantó las bromas de sus compañeros. Sainz, por su parte no pudo aguantar su 5ª plaza del sábado y acabó 9º con una buena remontada. Parece que todo vuelve a la normalidad, Mercedes, Hamilton han vuelto ha ganar. Tras una primera mirad de carrera donde parecía que Ferrari podía seguir el ritmo de los Mercedes, pero estos al poner los duros, se marcharon. Una carrera marcada por la mala suerte de Verstappen y Maldonado, El holandés tras unos adelantamientos increíbles, cuando iba 8º a falta de 3 vueltas se retiró, En el caso del venezolano, iba 7º, cometió un error en la entrada del pit lane, donde se fue largo. Más tarde hizo un trompo y ya deputes sin ninguna posibilidad de puntuar, tuvo un accidente con Button en una preciosa batalla. Tampoco ha sido la carrera del sueño para Sainz, que ya al cometer un error en la segunda vuelta y que el coche se le parase en media recta durante un minuto, hizo ya que puntuar fuese imposible. Los dos coches terminan, y han luchado y adelantado a un motor Renault y Mercedes, En el segundo caso, Button se defendió y atacó al Lotus de Maldonado de forma muy inteligencia. Lo que demostró que el coche va mejorando, es bueno en frenada y en velocidad en curva. 12ª posición para Alonso 14ª para Button. La revolución llegará en España, como confirmó Ron Dennis, presidente del equipo. En Bahrein, se espera y se desea, que haya una lucha tan épica como la que hubo el año pasado entre Rosberg y Hamilton, pero se quiere que participen más coches en ella. 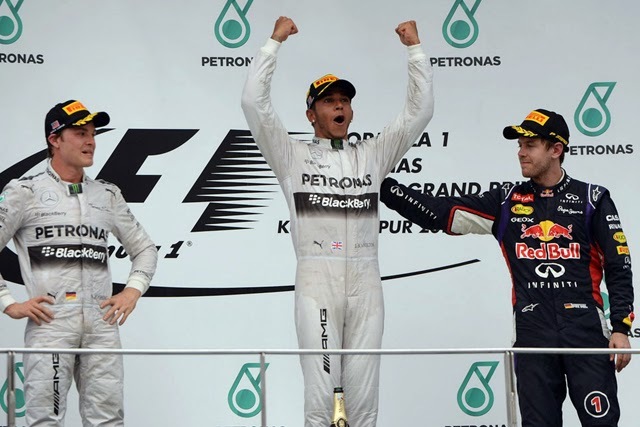 La carrera la ganó Lewis, seguido de Rosberg y Perez tercero. Se espera algo parecido a China, ya que solo va ha pasar una semana. Esas son las fechas de las que eran las últimas victorias para Ferrari y Vettel respectivamente. 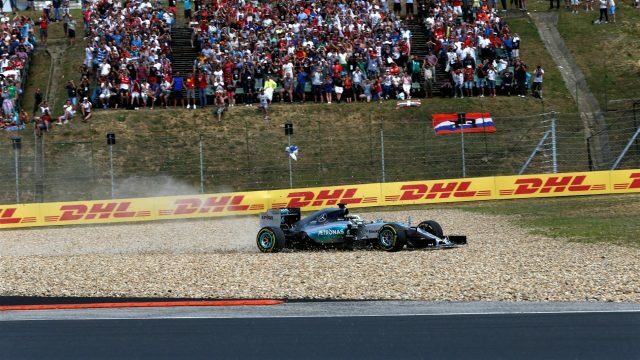 Tras una clasificación loca, Vettel salia segundo y tras una buenísima estrategia de quedarse en pista, mientras los dos Mercedes se quedaron en tráfico y parando una vez más. Ferrari suma así su victoria 222 y Vettel la número 40, quedándose así a una de Ayrton Senna. Para demostrar que Ferrari ha mejorado, Kimi Raikkonen ha acabado en cuarta posición, tras estar último y casi doblado. Aunque dudo mucho que Ferrari pueda seguir luchando con Mercedes o que aguante el ritmo, ya que Ferrari suele perder comba respecto a los competidores, sino que se lo pregunten a Alonso. Otro dato, Vettel ha sido el primer ganador no-Alonso con Ferrari desde 2009 (el último fue Kimi en Bélgica). Alonso había sido el único de ganar con Ferrari desde 2010 hasta 2014, en total 11 victorias. 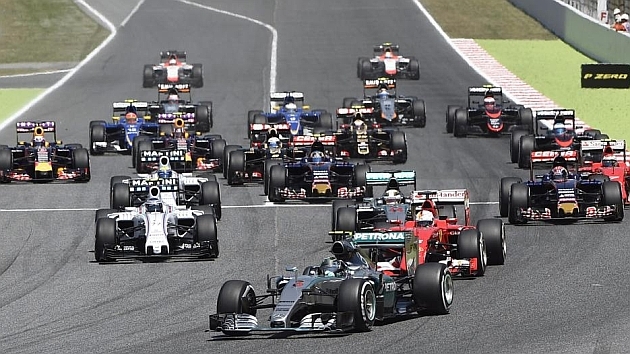 Williams, Force India, Lotus, Toro Rosso,Sauber, Red Bull e incluso Mclaren estuvieron luchando por la zona puntos. En una de estas luchas los dos Force India estuvieron imbolucrados. Primero Checo Perez tocaba a Grosjean que intentaba adelantar al mexicano por el exterior en una curva rápida, como consecuencia: Grosjean hace un trompo y Perez sancionado con un stop&go de 10seg. En el segundo caso Lucha entre Hulkenberg y los dos Red Bull en la primera curva que acaba con Kvyat trompeando al tomar la curva como si Nico no estuviese ahí, igualmente Nico fue sancionado con otros 10 seg. Como cambia la vida en años, Red Bull ha pasado de ganar títulos mundiales y carreras a doblados por su ex-piloto (Vettel) y además su equipo B (Toro Rosso) les está pasando por encima. Sin pre-temporada y sin correr antes del GP, Roberto Merhi ha acabado la carrera completando 53 vueltas. 15º lugar y un muy buen resultado para su debut. 1.5 segundos más rápido ha sido el Mclaren Honda en comparación con Australia, una mejora significante ha permitido especialmente a Alonso luchar por los puntos, hasta que por un problema en su coche se tuvo que retirar en la vuelta 22 cuando iba el 8ª posición. Button también se retiro por problemas con el turbo. 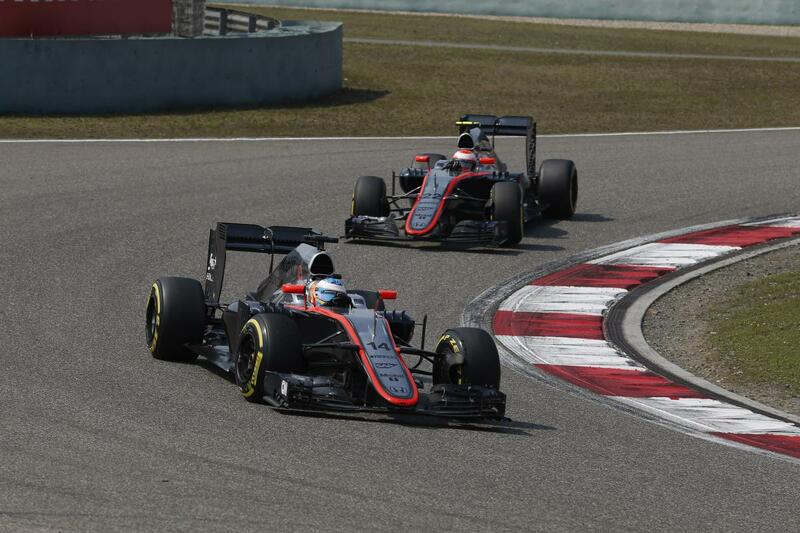 Según dijo Mclaren en estas dos carreras, iban a ir muy limitados, vamos a ver si en China , en dos semanas, están más cerca, creo que es posible estar en los puntos. Da rabia como no que tras el duro año de Alonso el año pasado, Vettel este año tenga un buen coche y gané una carrera y su segundo podio en su segunda carrera. Igualmente, Fernando también se encontró con un buen coche en su primer año en Ferrari, y él ganó su primera carrera con Ferrari, mientras Seb en la segunda. 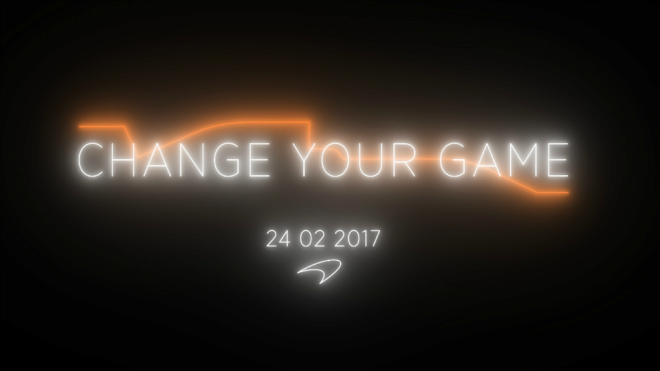 Vuelve la F1, con la segunda cita en el circuito de Sepang en Malasia. Quien también vuelve es Fernando Alonso tras ser baja en la primera carrera en Australia por causa del accidente sufrido el 22 de febrero en Montmeló en los test de pre-temporada. El asturiano ha aprovechado para desmentir todas las hipótesis sobre lo que pasó antes, durante y después el accidente. El piloto español dijo que la dirección del Mclaren estaba bastante dura, y que el coche se fue hacia la derecha. También desmintió que hablase en italiano o se despertase con 15 años. A parte de la vuelta de Fernando y Bottas, la novedad ha sido las primeras vueltas de Manor con Will Stevens y el español Roberto Merhi, que provocó una bandera roja al quedarse atascado en la gravilla. Por su parte Mclaren parece estar más cerca, pero todavía muy lejos de los de alante, a casi 3 segundos. Alonso ha completado 45 vueltas, en P14 y 16 en las dos sesiones de entrenamiento respectivamente. Para Mclaren ha sido una jornada sin contratiempos, todo lo contrario que para Hamilton, el campeón del mundo, sufrió problemas en el motor y rodó muy poco, pero eso no le impidió ser el más rápido en los segundos entrenamientos libres. Carlos Sainz tuvo una jornada discreta con P9 y P14. 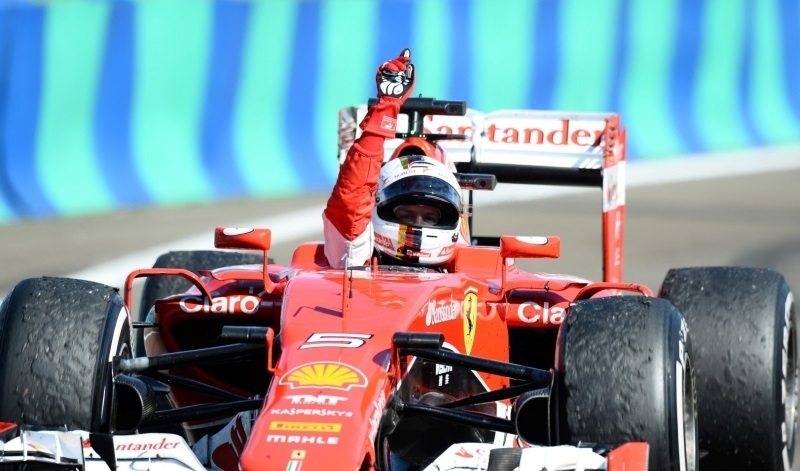 Y Ferrari sigue sienndo la segunda opción. Bottas no pudo correr por problemas en la espalda. Comenzarón la carrera 15 coches. Los dos Lotus se retiraron en la primera vuelta por accidente de Maldonado y porblema mecánico,de Grosjean,. A Kimi no le ajustaron bien la rueda. La vida para Mercedes sigue igual, solo hay que decir que Vettel, el primero del resto acabó a 34 segundos de Hamilton..
En las primeras vueltas hubo un bonito trenecito entre Nasr, Raikkonen; Ricciardo y Nasr, también una bonita batalla entre Perez y Button. El inglés acabó doblado dos veces y a más de 30 segundos del penúltimo. 13 puntos en la primera carrera del año, Sauber ya ha hecho más que en la tempprada pasada que sumaron 0. Un espléndido debut de Nasr quedando quinto y un buen Ericsson (octavo) consiguieron sus primeros puntos en su carrera deportiva en la F1 y los de Sauber tras un año. Finalmente VAn der GArde renunció a pilotar. Carlos Sainz Jr tuvo un debut soñado al ser mejor piloto español en la historia en clasificar tan alto (8) en su debut. Como Bottas no corrió, salió 7º y en la primera curva ya era 5º. Pero tras el Safty Car fue adelantado por Nasr, Ricciardo y Kimi, donde se vió las deficiencias de su Toro Rosso. Pero lo peor fue la para, 36 segundos paradas donde la rueda anterior izquierda no quería salir y tras un cambio de pistola salió. Carlos salió a pisto 12º pero los abandonos de su compañero Verstappen y de Kimi, y la parada en boxes de Perez y Ericsson, se puso 8ª, pero el sueco con gomas mucho más nuevas adelantó al español. 2 puntos el día de su debut, que no está nada mal. Mala suerte también para los que no pudieron ni tomar la salido por problemas mecánicos (kvyat y Magnussen) y por problemas de espalda (Bottas). También para Verstappen que cuando iba en los puntos se le rompió el motor. Tras acabar la clasificación los dos últimos, se esperaba una carrera peor, y no podría haber comenzado peor...Magnussen ni salió. Pero Button, luchando con Perez y acabando la carrera ya es un éxito. "Ha sido un fin de semana duro pero acabar la carrera nos ha dado mucha información y podremos mejorar. El coche es muy bueno en curvas rápido, como podies haber visto en la lucha con Checo." Por otra parte, en Mclaren esperan a Alonso.